I’m a big science fiction fan. A staple of science fiction is alien civilizations making contact with humans. Of course, we’ve yet to actually make contact or even find non-intelligent life out there. This isn’t to say that we haven’t looked. We have. We have detected planets outside of our solar system. We have even sent probes to other planets within our solar system. So why haven’t we found alien life? Perhaps it is just that the Universe is a big place. The following is an image that the Hubble Space Telescope took of a tiny fragment of the sky. Just how tiny? Well, this box shows the segment of the sky involved next to the moon. That first image shows a lot of galaxies. Over 5,500, actually. 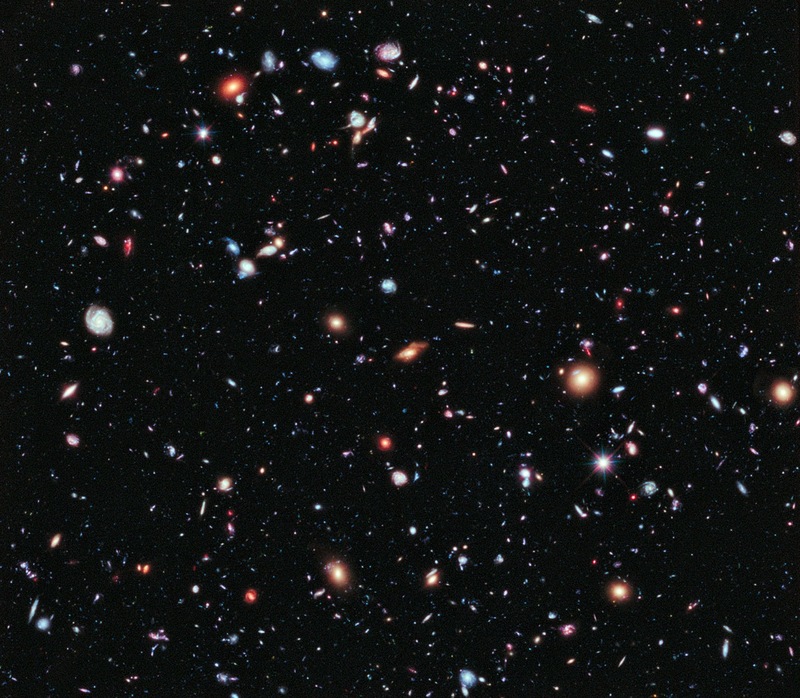 In the entire Universe, there are 100 billion galaxies. Each galaxy has billions of stars. If only one hundredth of one percent had planets and only one hundredth of one percent of those had life and only one hundredth of one percent of those had intelligent life, there would be millions of intelligent life forms out there. So where are they? Why haven’t we heard any alien signals by now? Why haven’t the aliens heard our signals? My personal theory is that time, language, and distance are the main factors. As I discussed previously, stars are very far apart from one another. We’ve only been sending signals into space that alien civilizations could detect for under 80 years. Already, we’re transitioning to technologies that might be harder for a hypothetical alien to detect. For example, we’re moving towards television transmitted via a wired Internet connection instead of via a TV tower that blasts the signal in all directions (including into space). As we do this, there will be less and less for aliens to detect. Perhaps civilizations send out a blast of detectable signal before vanishing behind wired connections. If so, time works against us (and our hypothetical little green friends) in another fashion. When the alien signals pass us by, are we able to detect them? Perhaps the alien version of daytime TV was flooding past our planet, right there for anyone to pick up, but we were stuck in the Dark Ages. Maybe, while we were frightened of demons in the dark, proof of alien life was passing right in front of us. Possibly, a similar thing will happen with us. When old I Love Lucy broadcasts transmit past a planet with alien life, will the aliens be technologically savvy enough to detect it? That brings us to the second point: Language. Specifically, would we recognize a signal as alien as opposed to gibberish. Suppose you didn’t understand Russian at all. If you heard five recordings, four with nonsense words and one of someone speaking Russian, it might be tough to pick out the real language. Now give that language an alien origin and see how you do. Now compress that signal using a method devised by aliens and would you even be able to tell that it wasn’t background noise? Finally, we get to distance. Like I said earlier, there’s a huge distance between the stars. There’s an even bigger distance between galaxies. Perhaps aliens are out there all around us, but we can’t see or hear them because they are so far away. If an alien was in the Andromeda Galaxy, one of the nearest galaxies to ours, they would be over 2.5 million light years from us. This means that a message sent from them would take over 2.5 million years to reach us. Science Fiction supposes a way to travel and communicate faster than light, but suppose science fiction is wrong. Suppose that the speed of light is the ultimate speed limit in the Universe. There could be millions of alien civilizations out there, all looking up at the stars and asking the same question: "Is anyone out there? Are we alone in the Universe?" 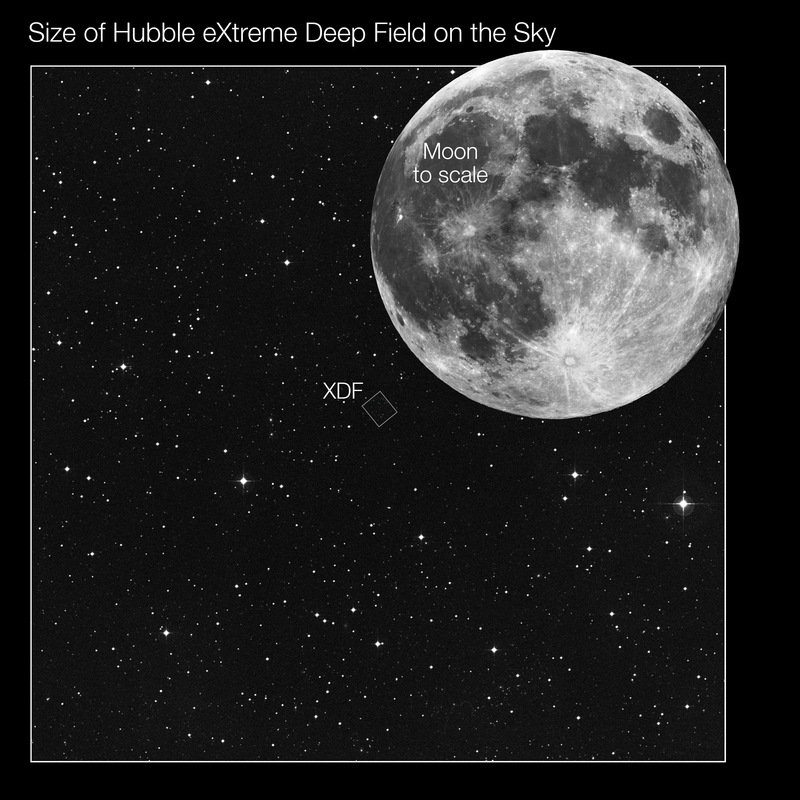 NOTE: The Hubble images come from here and here. Both images are free for anyone to use as are many other wonderful images from the Hubble Space Telescope. And I’m typing this while watching star trek, so I know what I’m talking about.